Sandy Diaz fielded the ball in this August 1989 game for Elizabethton, but he didn't record the out. He also allowed a run to score, according to The Bluefield Daily Telegraph. Pitching in the sixth inning, the reliever Diaz grabbed the come-backer and threw to first. The ball, though, sailed wide for an error and a run. He then soon gave up another run on a single, The Daily Telegraph wrote. It was a game Elizabethton would go on to lose in extras, according to The Daily Telegraph. Diaz pitched in that game in his first season as a pro. He went on to play in four seasons. He never made AA. 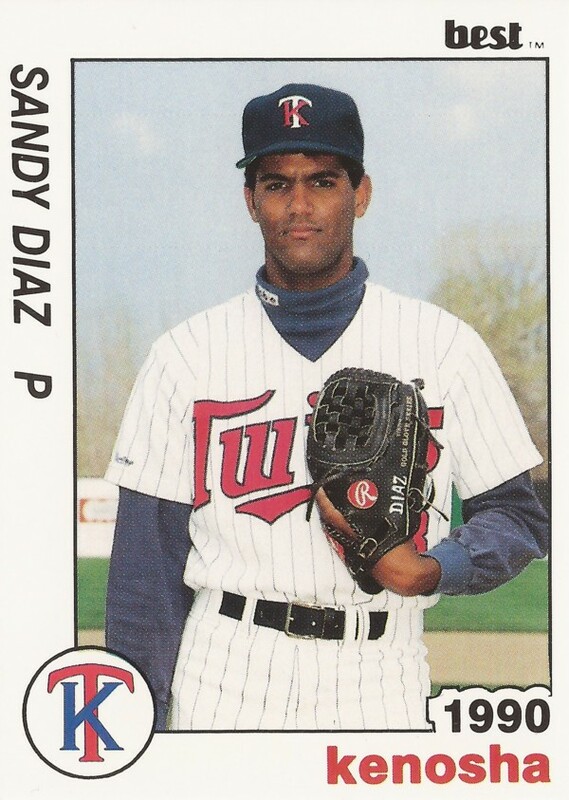 Diaz' career began that year in 1989, signed by the Twins as a free agent out of his native Dominican Republic. Diaz played that first year in the rookie Appalachian League. He got into 12 games, starting seven. He had a 5-3 record, with a 5.37 ERA. He split 1990 between Elizabethton and single-A Kenosha. Between them, he went 5-7, with a 3.78 ERA. He also struck out 96 in 116.2 innings. It was back to Elizabethton for 1991, playing there exclusively. He got 13 outings, 10 starts. His ERA came in a 3.38. For 1992, he split time between Kenosha and high-A Fort Myers. He had a 5.01 ERA om 22 outings, one start, at Kenosha. At Fort Myers, he had a 4.08 ERA in 11 starts. It was his final season as a pro.